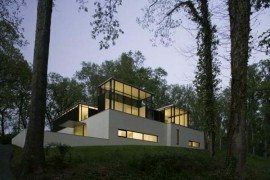 We are often boxed in by traditional approach to design and this often means the same template for a contemporary home is repeated all over the globe without considering the specific needs of each site. 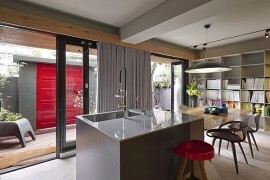 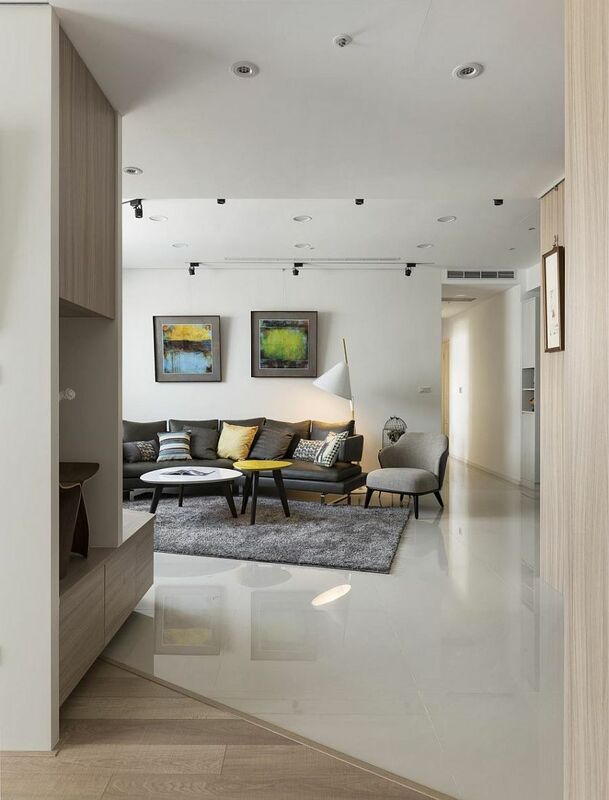 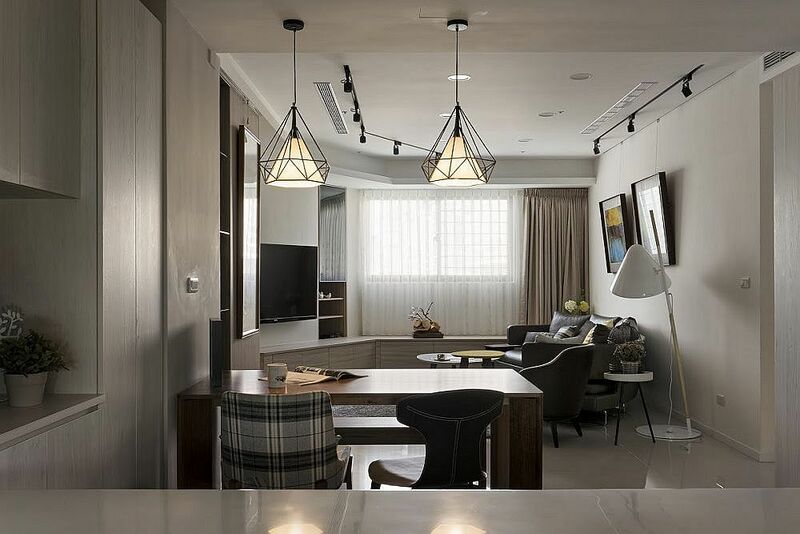 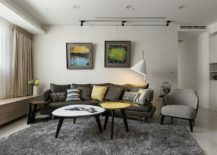 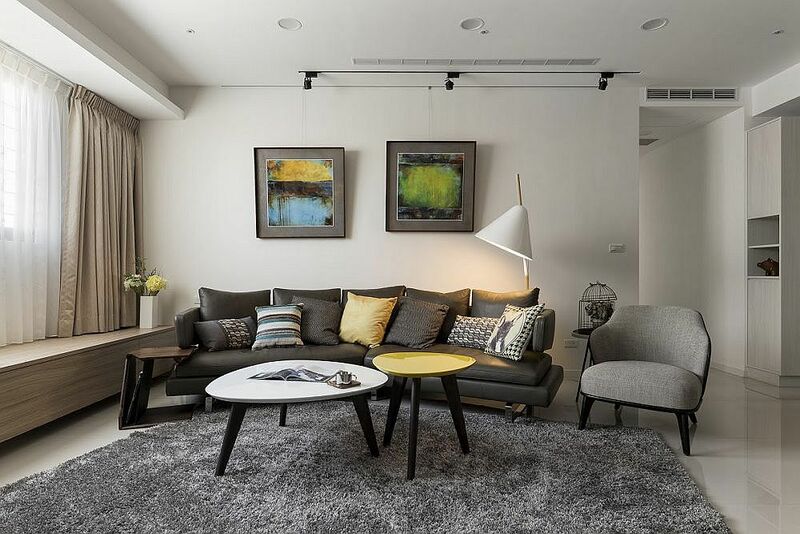 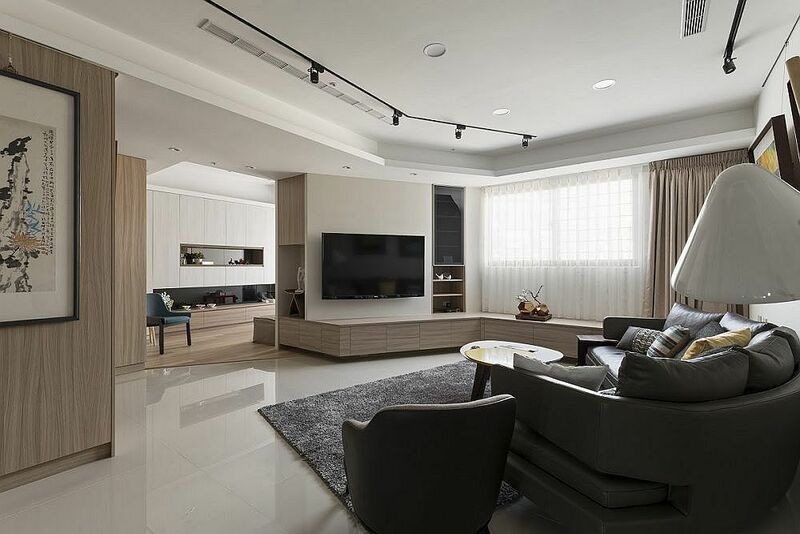 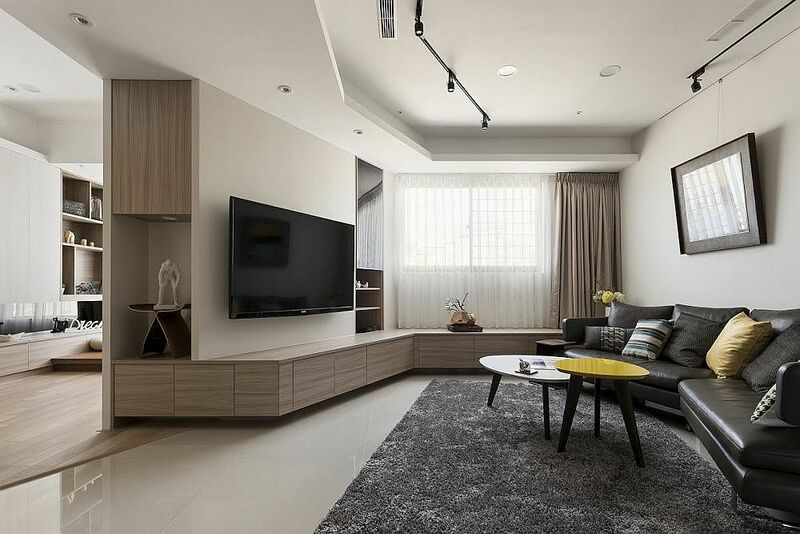 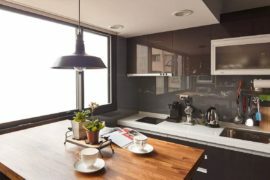 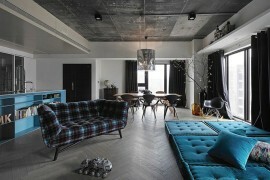 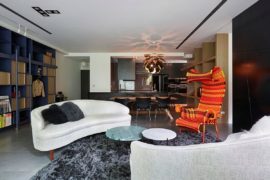 This contemporary residence in Linkou District, Taipei City moves away from this mundane approach to living room design thanks to the creative folk Alfonso Ideas. 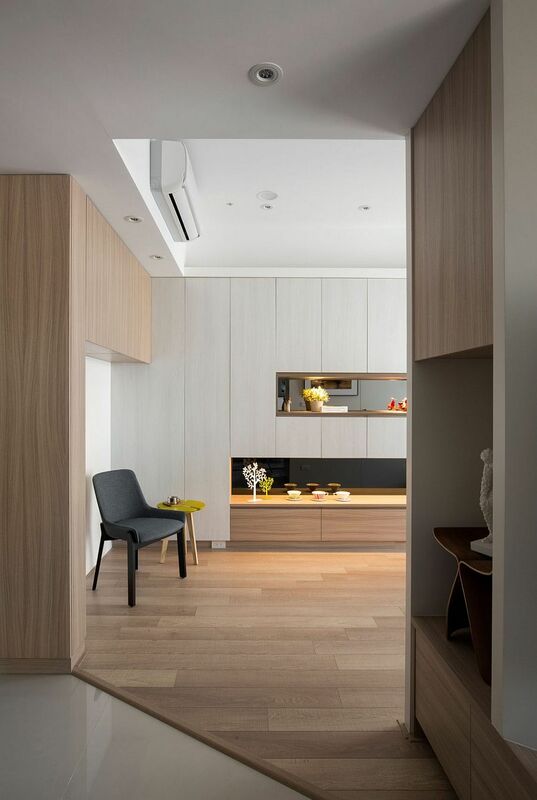 The open, minimal and inviting living area of this small residence has been divided into two different parts using an internal wall and yet one space effortlessly flows into the next. 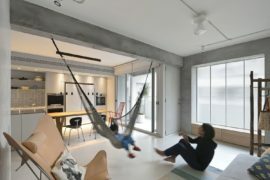 Instead of creating rigid, square rooms, the living area embraces the natural contours of the home as a polygon-shape wall makes its presence felt. 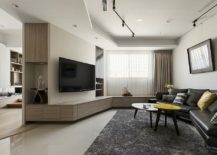 The sitting area and TV room at the front contains a comfy couch in black; an addition that anchors the light and breezy interior. 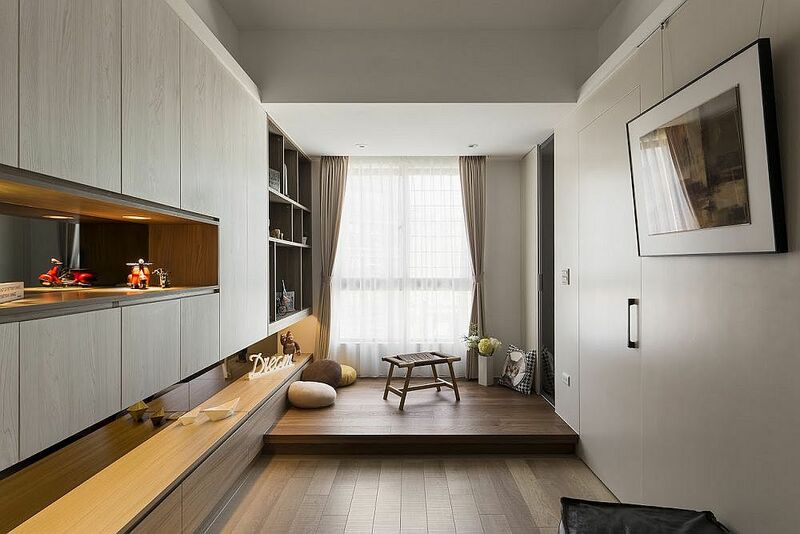 Below the wall-mounted TV is a wooden unit that runs all the way across the room and also doubles as a lovely window seat when needed. 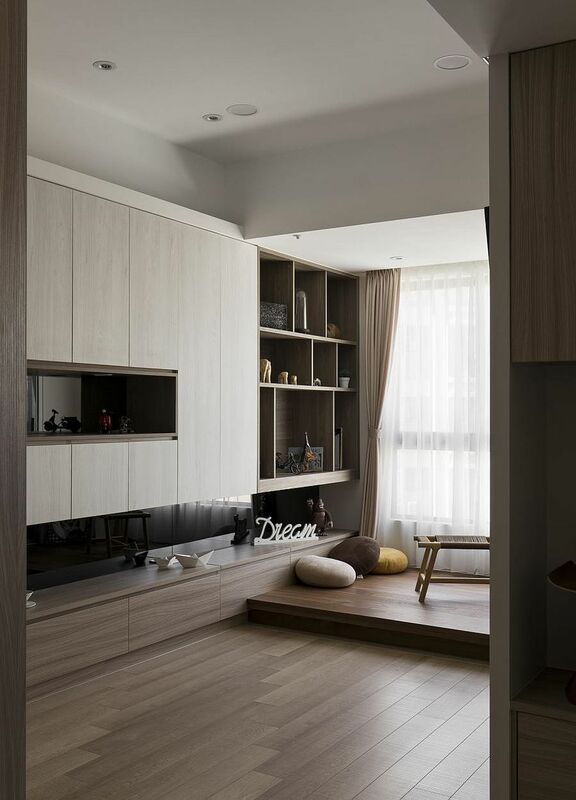 This unit offers plenty of storage space without disturbing the seemingly ‘wood and white’ color palette of the home. 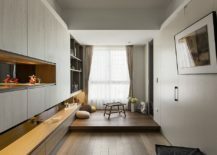 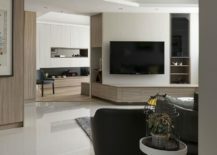 On the other side of the TV wall is another small, informal relaxation space, along with custom shelving, a small kitchen, dining area and home office zone. 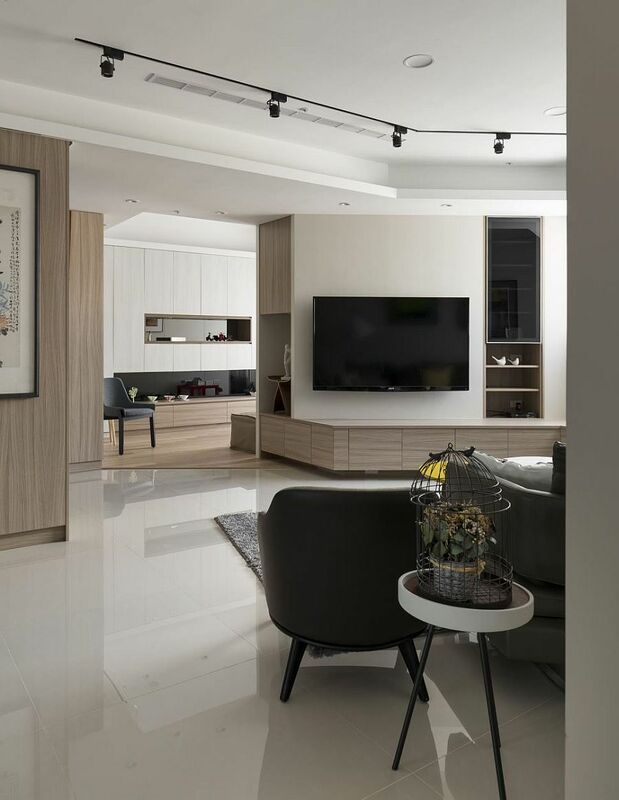 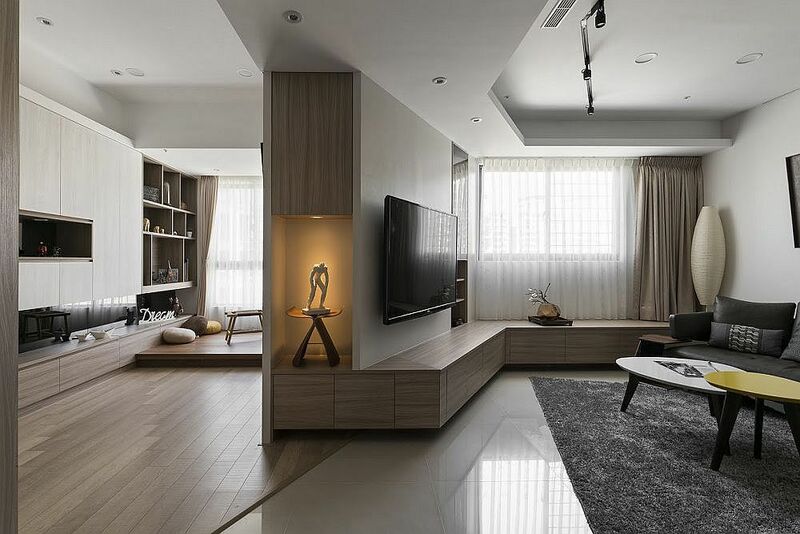 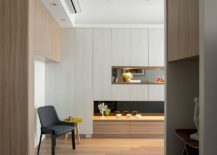 Each and every room of the house embraces minimalism with a dash of inviting warmth even as clever change in flooring and lighting delineates spaces without visual fragmentation.